What Is the Business Culture of Russia? Gifts are an important part of the business culture in Russia. The agency “Деловойпротокол” reports that a businessman needs to give around two hundred presents a year to his partners, colleagues, and employees – and that doesn’t include corporate souvenirs. Men should give presents to superiors and colleagues on their birthdays, to female coworkers and subordinates on International Women’s Day – “ВосьмоеМарта” (March 8), to male coworkers and subordinates on the Day of the Defender of the Motherland – “ДеньзащитникаОтечества” (February 23). The last is somewhat analogous to Veterans’ Day or Remembrance Day. It is also treated as a counterpart to International Women’s Day and is thus typically an all-male celebration. If someone gives you a gift at the office, you don’t have to open it immediately. If you give a gift to somebody at the office, you should simply put it a nice-looking and unwrapped box. The office security might want to check it, and they will probably damage any wrapping paper. If somebody gives you a birthday gift at home, you should immediately unwrap it and thank the giver. Finally, when business negotiations end and everybody has exchanged gifts, always accept an invitation to dinner, no matter how tired you are. The Russians consider toasting to be a trust-building exercise, and you should, therefore, be present for that. Since Russia has existed, there has been a belief system in place which boils down to “I’ll help you and you’ll have to help me.” The problem is that the Soviet system perverted what was supposed to be a kind of mutual support system. During the Soviet time there was plenty of rationing and what was thought to be fair distribution. This was widely complemented by gaining privileged access to both goods and services. These goods and services were traded using personal contacts and a wide network of distribution channels. After the Iron Curtain fell, called in Russian “Железныйзанавес,” the way that people did business changed once again. Instead of personal relationships, there was a kind of informal way to do business. This was the set of unwritten rules that so many Russians operated under when they were looking to make deals and run their businesses. Because the Russians have gone out of their way to make sure they don’t have a lot of concrete business rules, there have been even more kinds of ways to do business popping up. This includes a grim kind of barter system. This system has a truly dark side that has people who are in the business world gathering and trading compromising information about one another. Called “компромат,” this is such a common practice these days that a business person that doesn’t partake is considered weak and bad at their jobs. This has basically become a business sector in Russia in its own right. Don’t rush straight into the negotiations, for the Russians consider that rude. 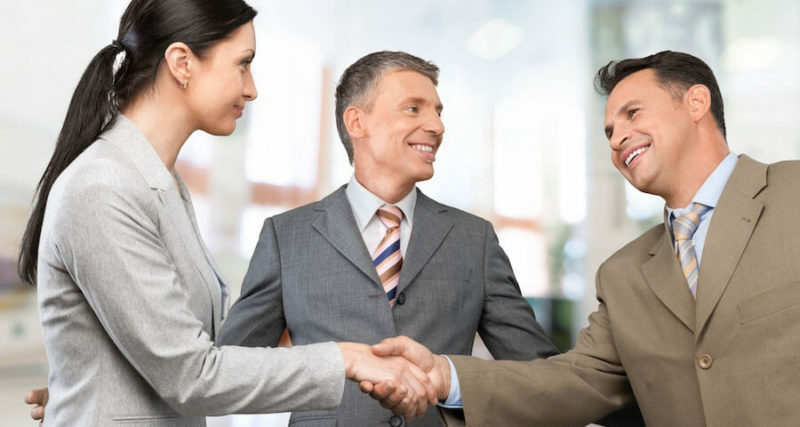 They view small talk as an important warm-up that will allow them to assess you and to demonstrate their hospitality. They will therefore ask you about your travels and hotel before getting down to business. Russians know and believe the proverb, “Don’t change horses in midstream” – “Конейнапереправенеменяют.” In other words, don’t change your negotiating team unless you absolutely have to. Russians follow a strict hierarchy. Even if everybody on the Russian team is an expert, they won’t speak unless invited to do so by their leader. Your team will get better results if you have a leader of similar stature to do the talking. Russians tend to discuss the general principles and goals of a project before getting down to the details. Given that fact, you should begin your proposal with an overview of how your company can benefit theirs before discussing items like the exact schedule. Russian negotiators often favor the tactic of “maximal initial demands with minimal concessions.” They often see compromise as a sign of weakness. Save any concessions for the end of the last meeting. The stereotype of the secretive and mistrustful Russian does have its basis in historical fact. During a business negotiation, however, any apparent secrecy may just indicate that the Russian team underestimated the amount of details they needed to present. If you need said details, ask. Don’t give up after an initial rejection. If a proposal has resulted in an angry refusal, change the subject or ask for a time-out to allow heads to cool. Avoid expressions like “Our offer is more than generous,” or “We are giving you a fair price,” because the Russians will view that as insulting. One reason why Russia is often seen as kind of a wild west when it comes to business is because the occupants of the country simply do not like all the rules and regulations that the West usually imposes on doing business. Corporate governance and transparency are things that Russian firms find frustrating. They also often believe the rules do not allow the businesses to operate as well as they might otherwise be able to operate. The Russian government and business finds that every rule and law has an exception, as long as people can find it. Russians like to say that there is a kind of “inner mutiny” in their personalities that comes from decades of forced behavior. Now that the communist regimes have come to an end, people like the fact that there are ways to get around all the rules that most countries consider sacrosanct. While companies in the United States tend to spend quite a bit of time pouring over all the laws that are on the books, Russia deals in more of an “unwritten rule” type of governance. The problem with this approach is that while Russians might understand some of these unwritten rules, people who are trying to do business with Russian businesses run into a lattice work of problems because they don’t understand what these unwritten rules are all about. This is also why Russian businesses have such poor reputations around the rest of the world. Companies from outside Russia have a hard time trusting those inside Russia. What Are the Types of Russian Media?